What is NHS 111 ? NHS 111 is the phone number for people in Buckinghamshire which makes it easier for them to receive the right healthcare from the right person, in the right place, at the right time. Dialling 111 will get you through to a team of fully qualified advisers. They will then ask questions to assess the symptoms and give you the healthcare advice you need or direct you to the right local service. 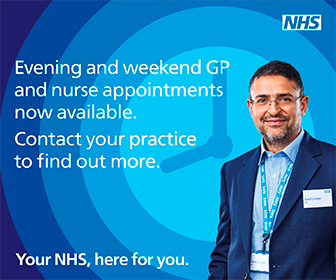 This could be at A&E, a minor injuries and illness unit, an out of hours doctor, a district nurse or an emergency dentist – or it may be something as simple as a 24 hour chemist. a Typetalk Relay Assistant will automatically join the call. They will relay your words to the NHS 111 adviser, and will type the adviser’s replies back to your textphone or computer. Amersham and Chesham has introduced an Improved Access Service to provide better access to GP Surgeries in the area.